A new year is quickly approaching, and we are all thinking about how to make 2019 even more fabulous than 2018. One area that seems to remain on everyone’s resolution list is finances. We seem to fall into at least one of three categories; how to make more, owe less, or save more. 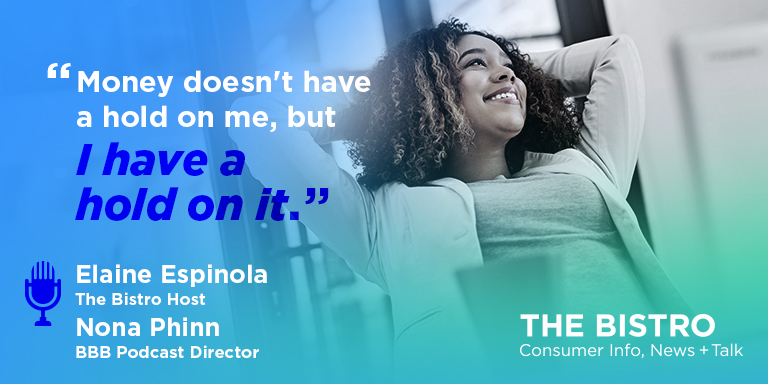 Nona Phinn, Podcast Director and Elaine Espinola, Host of The Bistro, sit done to review our top financial readiness episodes of 2018. Start Your Financial Planning NOW, National Endowment for Financial Education, Tax Reform Explained, and America Saves are four episodes we highlight to help you with your planning for a great 2019!